Visa Inc is replacing its V.me digital wallet service with Visa Checkout, a new payment service that enables consumers in the US, Canada and Australia to pay for goods online, on any device, in “just a few clicks”. Visa Europe will continue to support V.me, however, and has pledged to invest a further €200 million in the digital wallet service. 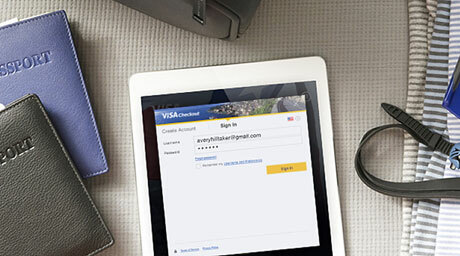 Customers using Visa Checkout first create an account and then link multiple Visa, MasterCard, American Express and Discover cards to their account. They will then be able to select the ‘Visa Checkout’ button on participating merchants’ online and mobile commerce sites to pay by providing their username and password. More than 180 financial institutions and organisations around the world will offer Visa Checkout to their customers, Visa says, including Bank of America, BB&T, BBVA Compass, Card Services for Credit Unions (CSCU), Chase, Citi, ICBA Bancard, Navy Federal Credit Union, PNC Bank, Regions Bank, US Bank and Wells Fargo Bank. Merchants signed up to offer Visa Checkout include Neiman Marcus, Pizza Hut, Staples and United Airlines, as well as existing V.me merchants 1-800-Flowers, Beyond the Rack, Cineplex Entertainment, Jos A Bank, Live Nation, Lululemon Athletica, MovieTickets.com, Newegg, Rakuten.com, Teleflora, Ticketmaster, TigerDirect and Wine Enthusiast. “Experiences can be created on mobile devices that cannot be created on plastic, because they are connected and interactive, and these experiences will become the real reason why digital payments start to proliferate,” Charlie Scharf, CEO of Visa, explained during the company’s ‘The Future Of Commerce’ event at its new San Francisco offices this week. “We have looked at every pixel, at every step in payment and taken every ounce of friction out of this experience as we possibly can,” added Sam Shrauger, SVP of digital at Visa. “A lot of this is just again to focus on absolute simplicity of payment; no bells and whistles, no wallet this, wallet that. Just give me a form of my cards digitally that is [as] easy to pay with online and on mobile as they are in the physical world. “We view this as a digitally optimised form of the card and what that means is we are not charging merchant fees for Visa Checkout, merchants pay interchange to process transactions. That’s not what this is about. This is a form shift from our standpoint. It is a digital form of the card you love; that’s it. “We’re not focused on enabling people to send payments to one another or store receipts, all of those types of things. It’s just about simplifications of payment. When you talk to consumers and you talk about wallets, and you hear what they say, at the end of the day, it all comes back to that. A lot of things get conflated into the wallet mentality. Visa Europe is taking a different approach to Visa Inc, however, and has announced a further €200m investment in V.me and the expansion of the service to eight new markets. V.me by Visa will be available in Germany, Ireland, Norway, Sweden and Italy by the end of 2014 and pilots will launch in Greece, the Czech Republic and Slovakia in 2015. The service is live today in the UK, France, Spain and Poland. A European Interoperability Working Group is also to be established with the aim of accelerating adoption of V.me and supporting the goal of “pan-European interoperability for local digital wallet solutions”. “We believe in a European wallet for our European customers,” says Wendy Martin, Visa Europe’s executive director of V.me. “That’s why we’ve taken the decision to retain the V.me by Visa brand, along with its bank-centric approach.